A good time was had..
You are here: Home / Linda's Travel Notes / A good time was had..
We started with the Marble House, built between 1888 and 1892 for Mr. and Mrs. William Vanderbilt; their little summer cottage. This little cottage has 500,000 cubic feet of marble at the time costing $7 million. I can’t imagine what their full time home looked like! Then off to Castle Hill Inn were we enjoyed a leisurely lunch in the private Ocean Room. The food, the service level and the view…all were wonderful! If you are ever in Newport area take the time for a wonderful meal at Castle Hill Inn, or even better spend a night or two at this Relais & Chateaux Inn. 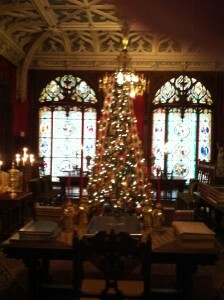 After lunch we visited the grandest of the Newport mansions – The Breakers. An international team of craftsmen and artisans created this 70 room Italian Renaissance-style palazzo inspired by the 16th century palaces of Genoa and Turin. 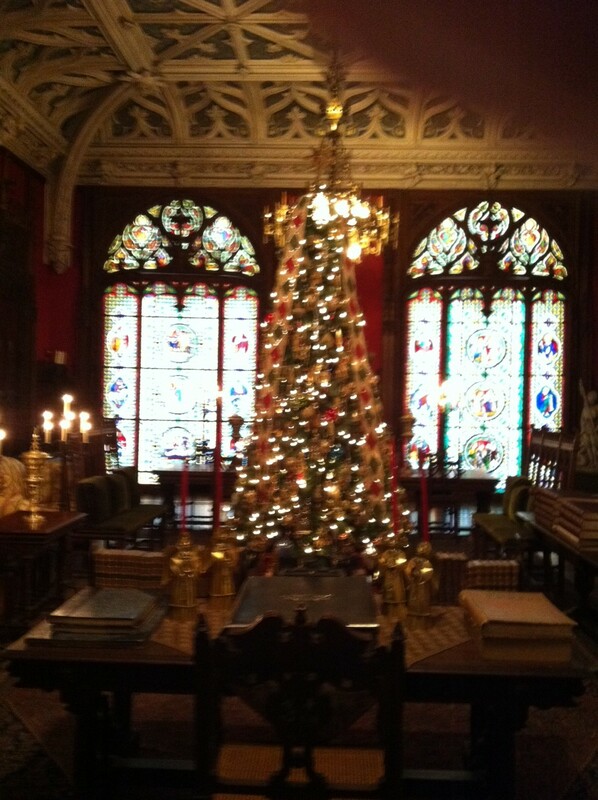 There was so much to see and the added Christmas trees and decorations made the visit special. And yes, there was chocolate on our Newport Christmas Adventure!